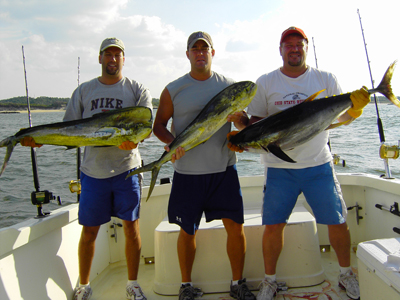 Sport Fishing and Tours with Capt. Larry and Mary P.Charters: If you are ready for an exciting day of fishing you've come to the right place. Captain Larry Voss can customize a charter to your needs with sightseeing, whale-watching, 1/2, 3/4, & full day charters. Captain Larry can take you offshore for tuna or to a wreck where you can catch the delicious Black Sea Bass, or to the Chesapeake Light Tower for some of the finest Spade fishing on the East Coast. We also fish for Flounder, Spot, Croaker and Cobia, which pound for pound, is the most exciting fish to catch in the Chesapeake Bay. 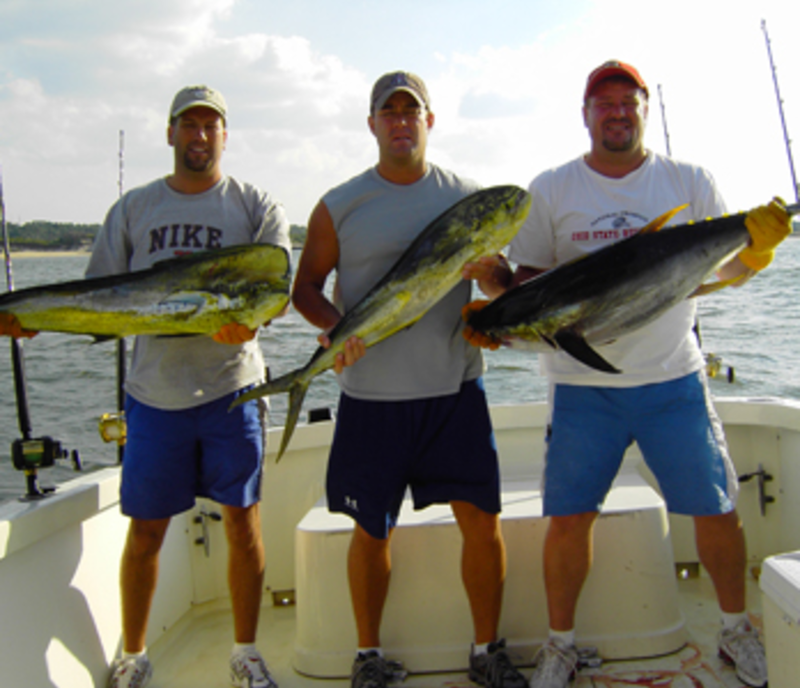 Captain Larry can also take you to the Gulf Stream for Blue and White Marlin, Wahoo, Tuna and Mahi Mahi. Group Charters or whale watching up to 6 people. All tackle & fishing licenses are provided. Ice for your drinks & food, and a mate is provided for your safety and comfort. We will clean and bag your catch for the ride home.